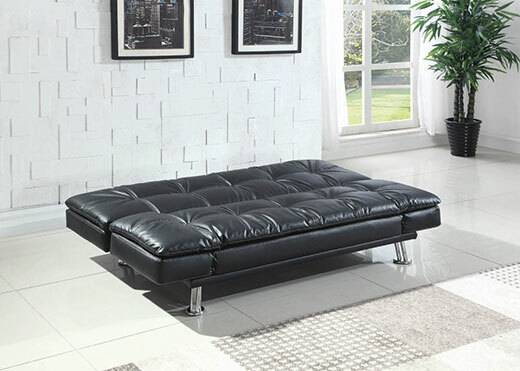 Bring fun into your home with this contemporary futon styled sleeper sofa. 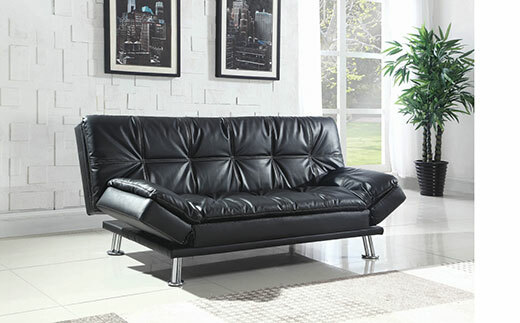 Enjoy this comfortable Sofa and welcome guests to stay overnight. 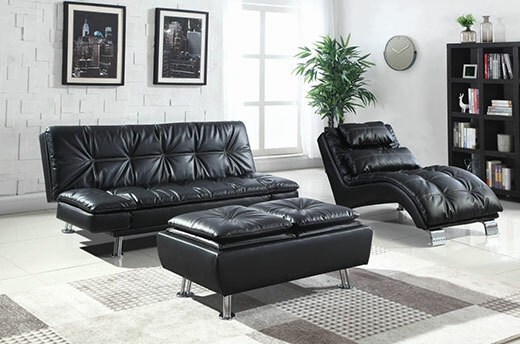 Comfortable pillow-top seating and armrests that adjust. Chrome colored metal legs and kiln-dried hardwood and metal frame. Spring decking and high-density foam. Back is upholstered with the same cover fabric. Want some help? We have optional curbside or delivery into the room and/or setup.